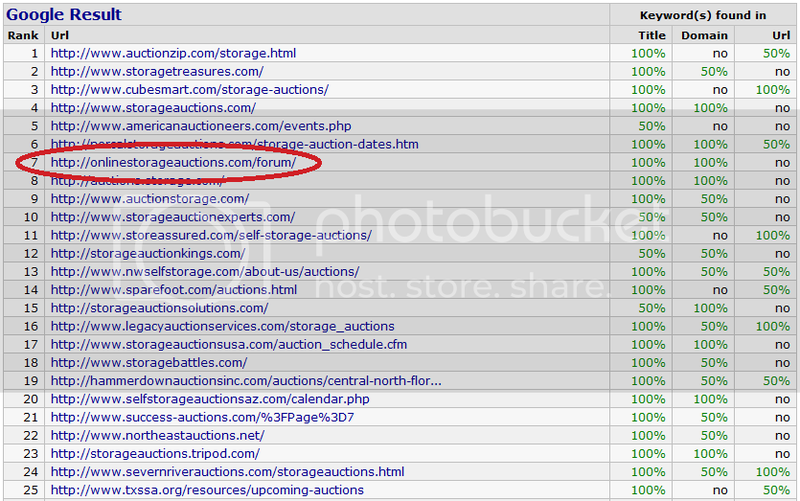 Sure, and there are geo locations where we rank #1 for the term "storage auctions," but geo results aren't a reliable metric. 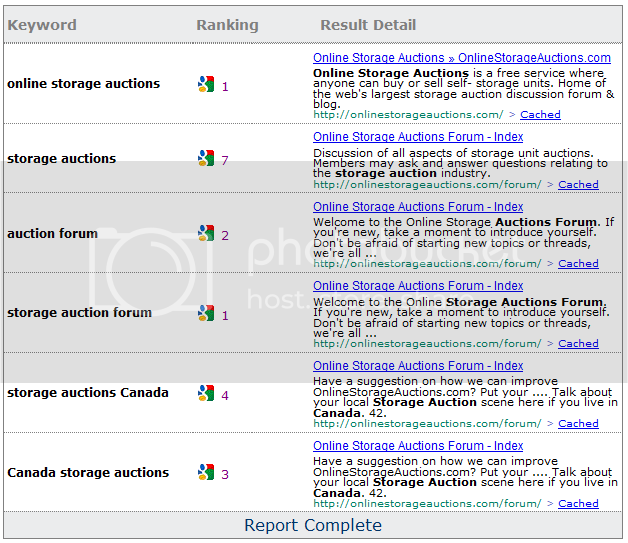 That's why you have to use reports that determine your true rank. I got virtually the same results from 3 independent sources. 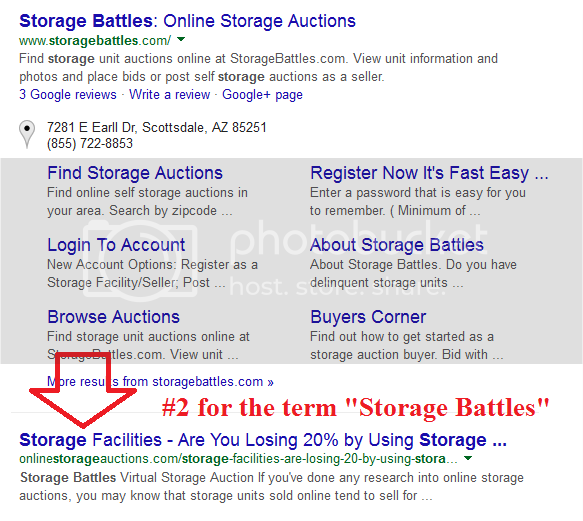 On your blog page that you rank #2 to storage battles you should change the title, to make people click on it. I've been meaning to do that. Thanks for the reminder.